Is a Progressive Tea Party a Good Idea? New Orleans The other day I was warning that progressives speaking out and organizing against some policies and programs of the new administration were already being lectured by the mainstream media, as some call it, about how boycotts should be conducted and whether or not anarchists attaching themselves to demonstrations could be disciplined. Today’s story conflates some of what is happening around the country with the Tea Party. Some seem to embrace the comparison and there’s never any harm in organizers adopting tactics and strategy that work, but is this a good idea or just reductionism to the lowest denominator that will sow confusion in the future? 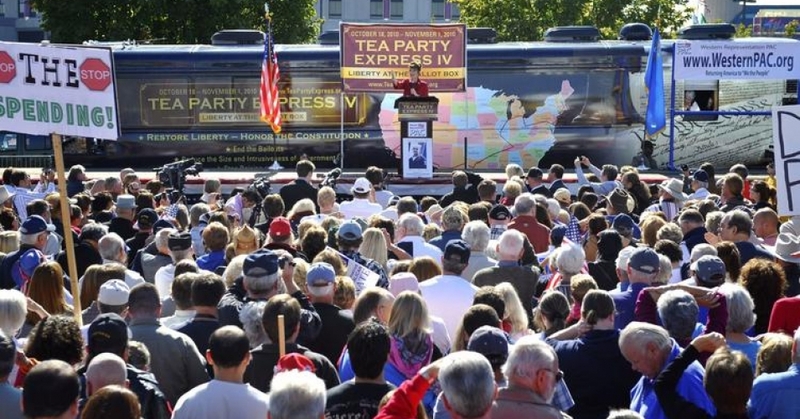 First, it is worth remembering that the Tea Party and its moment have passed. No one really pretends that anything other than a sentiment and a diffuse base exists from its effort some years ago, regardless of how skillfully Trump seized the opportunity. At the least we need to differentiate anything we might be trying to do now as something more than a flash in the pan that can be endured while it lasts and then ignored. Secondly, please recall the recent history when the Speaker of the House and the Senate Majority Leader for the Republicans essentially slammed the door on the Tea-people and their elected representatives and stonewalled and marginalized them. Tactics and strategy without organization are always going to end up walled into a box canyon. Some former Tea organizers are kind about it all in some ways, referring to efforts in various communities around the country as nothing more than good “civics.” They are particularly talking about efforts to rally around Congressional offices and participate in town hall meetings organized when the local representatives come home during the upcoming recess. Reportedly, one clever group responded to its representative’s claim that no meeting space was available by booking space in each of the four counties he represented to call his bluff. Needless to say, be careful what you ask for, since such public forums could turn out to be proxy fights and shout outs between the right and left, which will be hard to count as a tactical advance. If it’s working, run with it, but this could be a flickering flame without something more substantial. There’s energy and fire in the country now that would seem to demand something new, not something derivative. The grassroots is grabbing the straws that they have seen available, so in absence of something better, that’s good news. We’ll have to take a longer look at these self-described “indivisible” chapters and their playbook. The base is moving faster than the wannabe leaders and strategists meeting in their conference rooms and think tanks. If something new and stronger is going to be built from this unique opportunity, now is the time. The tail is wagging, but the head is lagging. The progressive body has to be put together quickly for the long race, not just the current dash. This entry was posted in Community Organizing, Ideas and Issues, National Politics, Organizing and tagged progressives, tea party by Wade. Bookmark the permalink.